"What can I tell you about Jack sahib, he was tall like his father, but took after his mother when it came to looks," continued the fiddler, "A very handsome young man, Master Jack. But cruel as they come. He used to ill-treat Karen like anything and was very rude to his stepmother. His favorite pastime was to swat innocent butterflies. He had a turn for cruelty, that one. But the one thing he was brilliant at was painting. But the kind of pictures he painted! Terrible and very realistic images of ghostly figures and witches. He never attended church and would spend most of his time reading horror stories and tales about witches. He used to revel in that kind of thing. He made a complete study of the Salem witch trials and painted some pictures from his imagination that were terrible. He used to paint pictures of men being pilloried and pulled apart by horses the way they used to punish prisoners in the middle ages. The boy was tutored at home and several tutors came and left very quickly. They all said the same thing. Something was very wrong with the boy psychologically. I used to feel terrified when I saw those paintings, but Irene thought it was his artistic self, expressing itself. I think she was proud of her son's skills. Women can be blind about their children sahib! But she was right in saying he was talented. Sahib, a look at those paintings would send shivers down your spine. I once suggested to him that he paint something beautiful instead of ghosts and witches and his face turned monstrous and he took two steps forward and slapped me hard on my cheek. I still tremble at the memory of his terrible face. Well, another year passed and then came that fateful month of April. Gabriel had to leave for a week on some work and I was told to go on leave in the first week of April. Here I have to come to a full stop. Gabriel came back after a week and he was told by a frightened Irene that Hilda had run away taking Karen with her. One look at her frightened face and Jack's contemptuous swagger made Gabriel realize immediately that something had happened to Hilda and Karen. Gabriel filed a missing person report at the police station immediately. The police questioned Irene, Jack and everyone in the village. This was a big thing to happen in a small village like ours and it made big news here. They questioned me too, and I answered all the questions honestly. The police were never able to find Hilda and Karen. They took the house apart and after a few months, they closed the case as unsolved. This drove Gabriel into a deep depression and he began drinking heavily. He was sure his wife and child were dead and he blamed himself for it. One fine day something snapped in his mind and he shot Irene and Jack and put a bullet into his own head. The police found a note written in Gabriel's hand in his room. In the note, Gabriel clearly stated that Hilda and Karen had been murdered by Jack and he, Gabriel, was paying his debt to them by shooting Irene and Jack and taking his own life. Well, that is the story sahib," said the fiddler. "All right," said Mat after a pause, "How does my granddaughter have any connection to all this except for the fact that her name is also Karen and she is living with me in the same house?" "You see sahib, your granddaughter bears an uncanny resemblance to Gabriel's Karen. The resemblance is very startling. When I saw your granddaughter for the first time it took me back in time. I have seen both the children and I can tell you this. She looks quite a bit like Hilda's daughter," said the fiddler. "Well, you said you dreamt something and sent the cat to my house the other night. What did you dream about?" asked Mat. 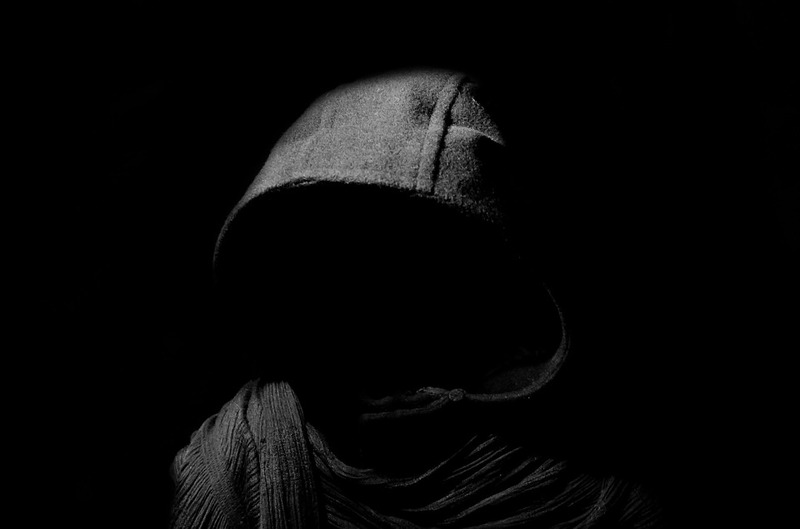 "Sahib, In my dream, I saw a hooded figure chasing your daughter. She was running as fast as her little legs would carry her. She had an apple in her hand and this figure was chasing her for all he was worth. Finally, the figure stopped and took off his hood. The face was that of Master Jack, sahib," said the fiddler. "Okay, where can I meet Father Kirsten and I would also like to meet the inspector who was in charge of the police station here at the time the shooting happened. What was his name?" asked Mat. "You can meet Reverend Kirsten at the main church in Shimla. He is well known there. As far as the inspector is concerned, his name was Lakshman Singh Sahib. I heard he lives in Mumbai now. I daresay you can find his address from one of your contacts," said the fiddler. Mat got up and hugged the fiddler. "Thanks for telling me all this. You have been a great help. Now look, you tell me your name. I know you only as the fiddler all these years," said Mat. "Gagan Narayan, Sahib," said the man. Mat thanked the man once more and left the shack after tipping him generously. He headed back to his car and wondered whether he should head for Shimla straight away. It was a three-hour drive. The roads were very dangerous at night and he had not slept for nearly two days. The most important thing now was to stay alive till he pulled his Lachchu out of trouble. Mat did not care for his own life, but he did not want to leave his granddaughter destitute. He decided he would not risk the mountain roads at this time of the night. He looked at his watch. It was midnight. He decided he would set off for Shimla at 5.30 AM in the morning. He headed back to his villa. He parked his car in the garage and let himself in through the front door. He phoned Shivani and asked her about Karen. Shivani replied in a very worried voice "Her temperature is dropping steadily Dada. But otherwise, she is okay." Mat received this information in agony knowing that he was running out of time. He began realizing that this continuous dip in temperature had something to do with the whole thing. Mat bid her goodbye and hung up the phone. Next, he phoned up Vikram and told him what he had learned. Vikram's first question was, "How did you get all this information?" "Vikram, please don't ask me to reveal that. I do not want people to suffer. I plan to do this alone and my way," said Mat. "All right, I will let it be. You need something from me, don't you? Otherwise, you would not have phoned me up," said Vikram. Mat asked Vikram to send him the entire case details of the Gabriel shootout and suicide that had taken place in his villa. He also asked Vikram to send him the current address of one Inspector Lakshman Singh, the inspector who had handled the double murder and suicide. Vikram assured him he would do so. Mat inquired if Vikram had any leads on how Pradeep had come to such a sticky end. Vikram admitted that everything pointed to a typical accident on a mountain road. He admitted that without more evidence he could do nothing except close the case as an accident. Finally, Mat came to the most important message he wanted to convey to Vikram. "Listen Vikram," he said, "I am being as careful as I can. I need to stay alive at least till I pull Karen out of this mess. But something tells me that even if I manage to save Karen, I may not come out of this alive. So I want you to promise me something. If I die, promise me that you will adopt Karen as your daughter and take care of her. I entreat you to do that. Can I count on you?" There was a sharp pause at the other end. Then, with a deep breath, Vikram said, "If anyone else had come up with such a passionate plea I would have probably tried to sweet talk them a bit. But I know you. You would not say this without sufficient grounds to believe in what you are saying. I respect you a lot and you are like a father and Mary was like a mother to me and Shivani. Okay then, here goes. I give you my word of honor that if anything happens to you, I will adopt Karen as my own daughter and see to it that she flourishes and grows into a fine young woman. It is my word as a son and a policeman. Rest assured, Mat." They bid each other good night. Mat knew Vikram would now set the ball rolling on his own and start some inquiries. He cooked himself some food and thought deeply, piecing together the information he had obtained and working out a plan of action. First thing, of course, was to talk to Father Kirsten. He would set out for Shimla as planned at 5.30 AM tomorrow. He would drive to the main church. Shimla was three hours from Kimnur village. And then he had to meet Inspector Lakshman Singh wherever he lived. The fiddler had said he was probably in Mumbai. He would get the correct address and the case details from Vikram by tomorrow. Mat sighed. He was alien to all this cloak and dagger business. In the skies, it was your quick wit and reflex against your opponents'. If you were faster than him, you escaped and your opponent paid with his life, otherwise, you lost your life. The equation was very simple. But here he was fighting a powerful enemy he did not understand. He was feeling lost and hopeless. He remembered what his Mary often used to say, "When you have no one to turn to and you are alone and lost, only God can help you." He had always considered it a sign of weakness to pray or to visit the church. Now, he was seventy years old, alone and probably fighting the last battle of his life. And so, Air Commodore Mathew Williams, a veteran of three wars, victor in innumerable dogfights, holder of the Vir Chakra, knelt in front of a portrait of Jesus Christ and with tears rolling down his cheeks prayed for half an hour. Finally, he got up, set his alarm clock for 5.30 AM and went to bed. He tried to sleep but could not. Finally, after an hour or so he slipped into a troubled slumber. He dreamed of hooded ghosts chasing him. He was happy they were not chasing his beloved Karen. The story is getting very interesting day by day. Can't wait to read what happens next. This story is absolutely brilliant. I cannot wait till tomorrow. 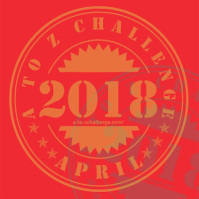 Visiting form The A-Z Challenge 2018. It is getting interesting day by day. At least I am able to connect few dots. For remaining, I 'll continue reading further posts. The story until is now has been interesting. Now to wait and watch what happens next!! Such a great back story, the link between the two Karen's, the chilling, creepy boy Jack and his painted ghosts. can't wait to see what happens next. Brilliant turn of events and razor-sharp storytelling skills Jai ! you have got your readers on the edge of their seats! I read all the posts in a go. Love how characters are coming in and the story is building up yet the mystery stays. I can only wonder the paintings by Jack but pretty well painted by you here! Hoping Mat makes out of this alive.